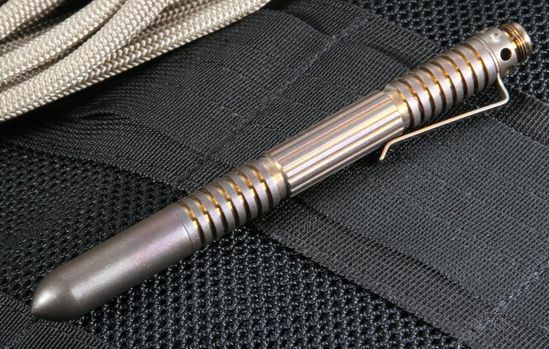 Rick Hinderer Knives doesn't make ordinary tools and instruments - and the Extreme Duty Titanium Pen is no exception. His work with and personal experience as a first responder showed Rick Hinderer the need for a self-defense tool that can be available everywhere you go. 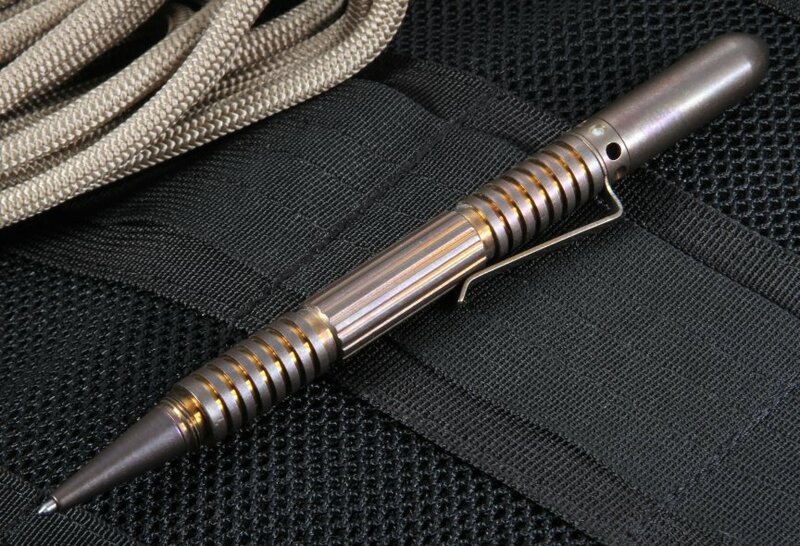 This bronze tactical pen is made in the U.S. to go where knives can't when you need personal protection for your safety. Like all Rick Hinderer products, the Extreme Duty pen is produced using the latest technology. The CNC-machined military spec 3 titanium frame and clip have a warm feel which is more comfortable in cold weather. By using coarse threads with a higher height and bronze anodized finish, Hinderer has given this pen the toughness and durability demanded of close quarters combat. Yet it weighs just 2 ounces and can easily be controlled. 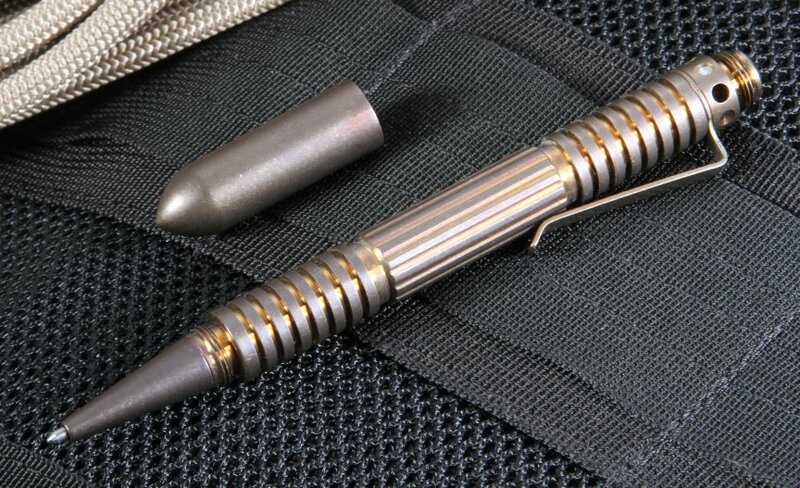 Another key feature of this military tactical pen is the traction grooves, which have been precisely spaced for maximum grip when writing or fighting. It also has a modular design with an end bullet that can quickly be replaced by other accessories such as their Warhead or AP Point. 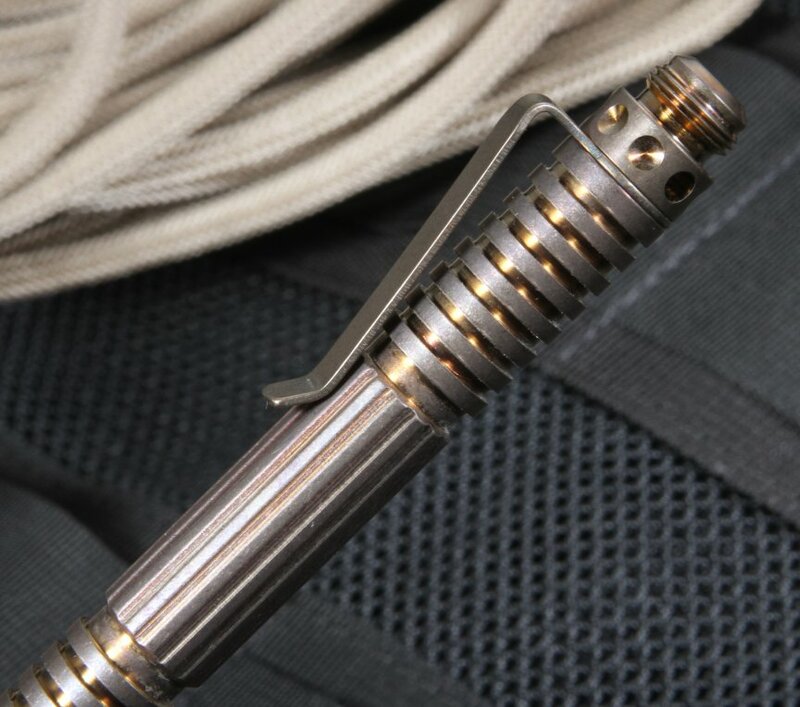 Customize your pen for strike techniques or compliance techniques depending on circumstance. 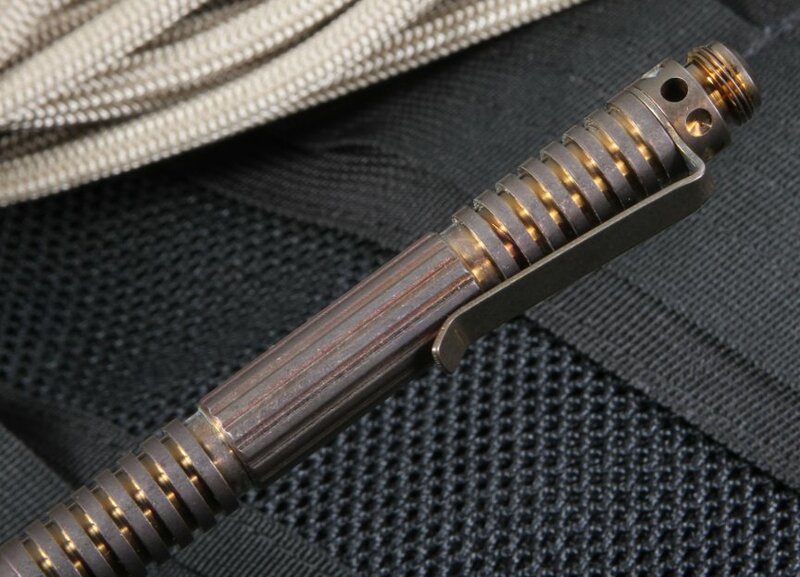 This titanium modular pen has the overbuilt toughness Rick Hinderer Knives is known for throughout the industry. It's a quality writing tool as well when you're not in a dangerous situation. With Rick Hinderer's limited lifetime warranty and KnifeArt's satisfaction guarantee, you can order the Extreme Duty tactical pen with confidence. Total Length with Cap: 5.5"